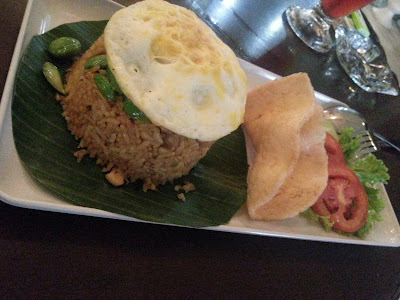 Nasi Goreng Pete (Stinky Bean Fried Rice) come with Fried Rice topped with Pete (Stinky Bean), Sunny side up Egg, Tomato, Cucumber, Lettuce and Prawn Cracker. Taste nice and tasty. Paket Timbel Komplit (Complete Banana leaf wrapped steamed Rice) come with Banana leaf wrapped steamed Rice accompanied with Fried Chicken, Fried Salted Fish, Fried Tofu, Fried Tempeh, Cucumber, Tomato, Cabbage, Lettuce and Red Chili Paste. 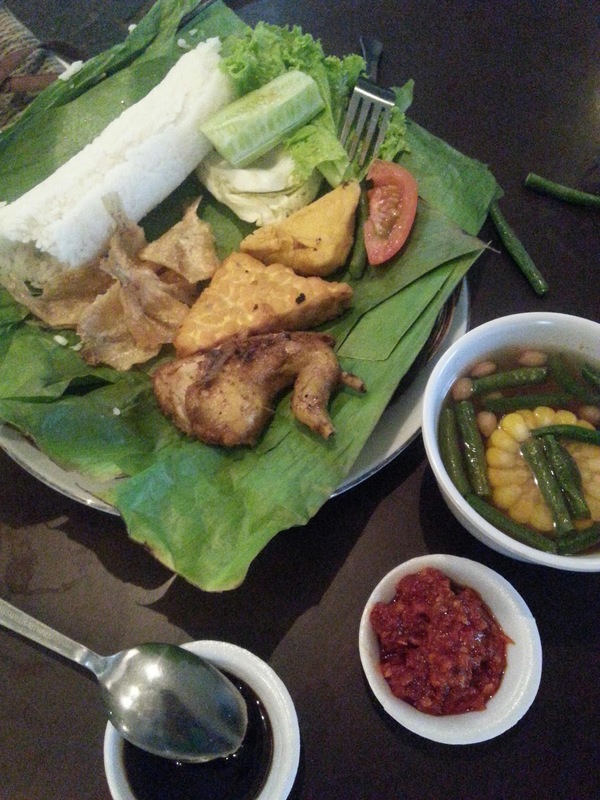 Also included a Sayur Asem (Sour Vegetables Soup). Taste nice and fresh. 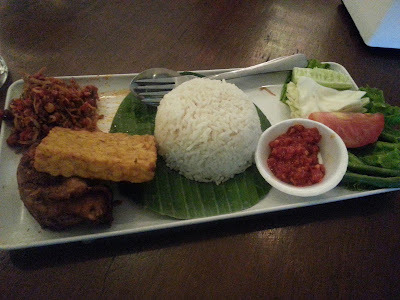 Nasi Uduk ala Gumati (Gumati Coconut Rice) come with Coconut milk Rice accompanied with Fried Chicken, Tempeh, Peanut, Anchovies, Cucumber, Tomato, Cabbage, Lettuce and Red Chili Paste. Taste nice and tasty. 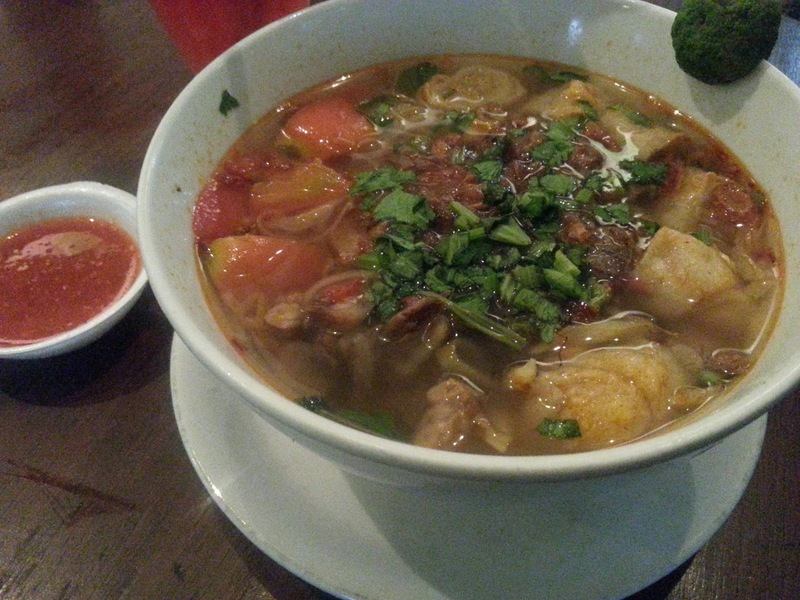 Soto Mie (Noodle Soup with Beef and Springroll) come with Noodle or Vermicelli, Sliced Beef, Springroll, Tomato, Cabbage, Celery served in beef stock soup. Taste nice and hot.